F. W. Murnau’s extraordinary silent film manages to tell its entire narrative – with one equally extraordinary exception – from a purely cinematic standpoint, without the use of intertitles. 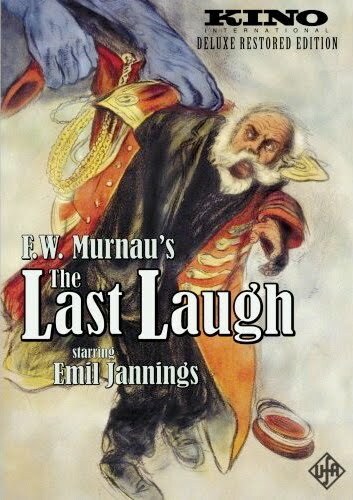 A heartbreaking melodrama about a posh hotel’s aging doorman (Emil Jannings) whose position means everything. When he is removed from his post and sent to work as a washroom attendant, his shame and devastation is profoundly felt by the viewer, touching us in a way that words could only hint at. As his family and neighbors discover his demotion, their scorn and disgust only add weight to Janning’s broken spirit. But Murnau and screenwriter Carl Mayer have a delicious surprise in store, one that is both patently (and admittedly) false, yet exactly what we require. It’s a marvelous high-wire act of bravura filmmaking from one of the undisputed masters of the medium.